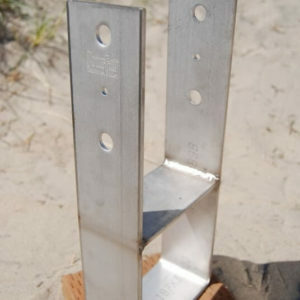 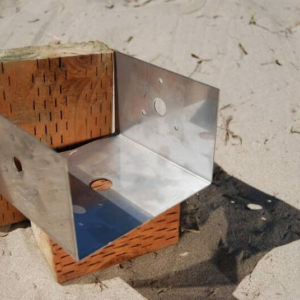 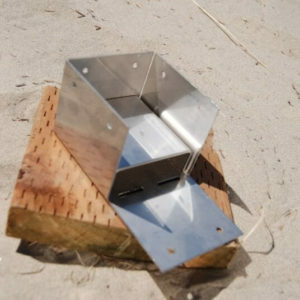 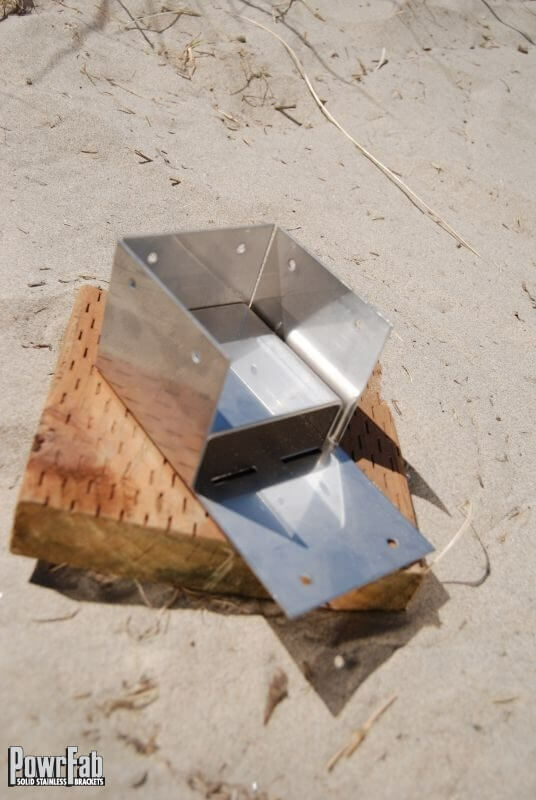 Folding Post Base for 4″x4″ dimensional lumber. The overall dimensions are 3″H x 3-5/8″ x 3-5/8″ inside dimension 16ga 316L Stainless Steel. 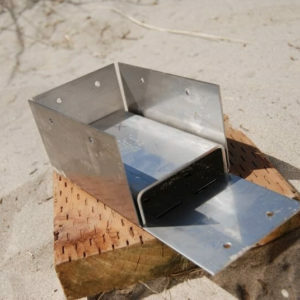 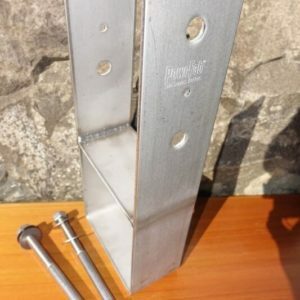 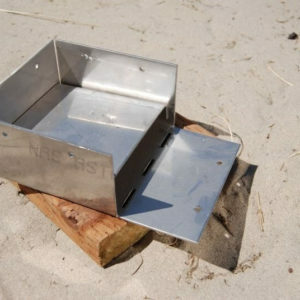 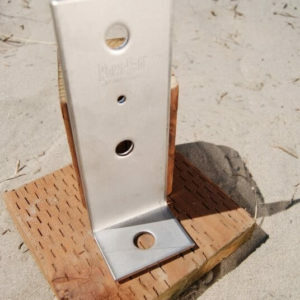 Includes 1″ 12ga 316L Stainless Steel standoff plate. 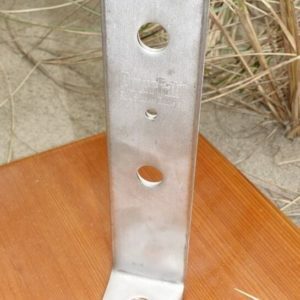 3/4″ diameter hole on bottom center of bracket for mounting. 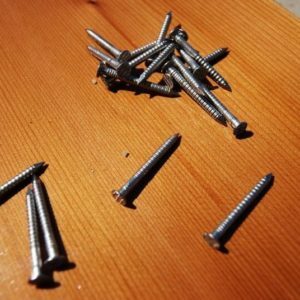 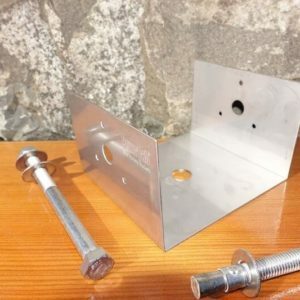 Eight 3/16″ diameter nail holes to secure bracket to post. 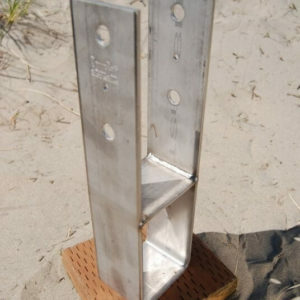 Fourth side of bracket to be bent up in field to complete install. 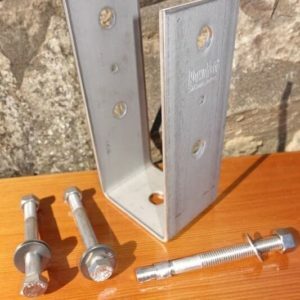 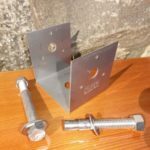 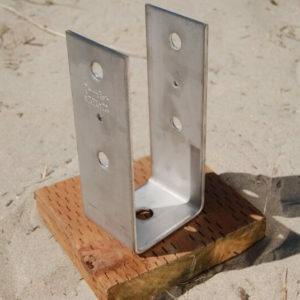 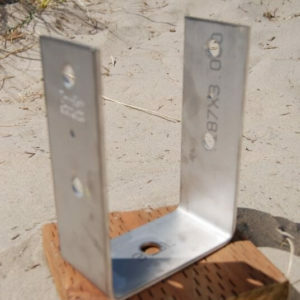 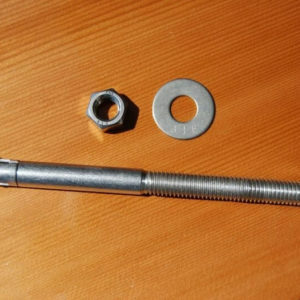 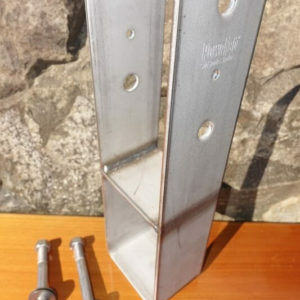 Requires one 1/2″ x 5-1/2″ 316L Stainless Steel wedge anchor stud.